When I was pregnant with my son Nathan, 11 years ago, I made a babiche bag. 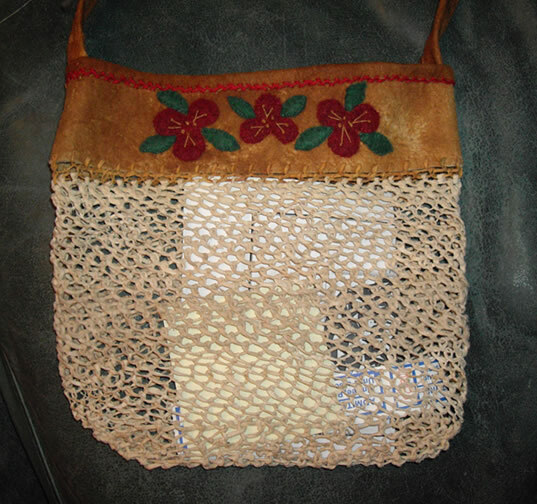 Traditionally they are made with partially tanned hide torn in strips and then woven. 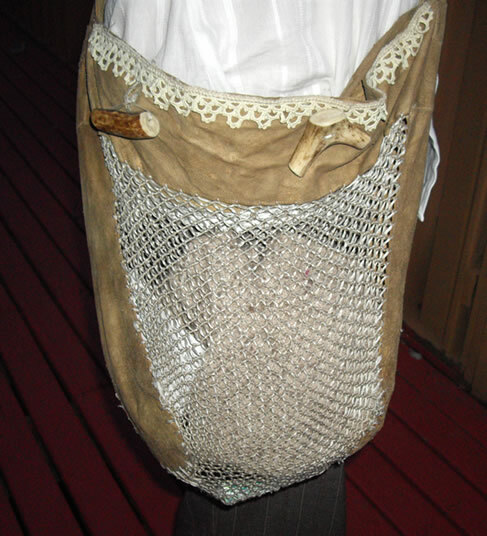 Similar idea to a mesh market bag. My in-laws had a beautiful one hanging in their bed and breakfast, and being on maternity leave what better time to while away the hours then recreating a babiche bag. I had never seen one made, or come across any instructions, so I made my own version, tying millions of little knots to form the mesh. Looking today on the internet, I see that people have made them with a form and wove the mesh. Maybe they are made slightly different in the north. I loved seeing the bag in person - and knowing the history of it makes it even more special! I did not realize you made the mesh. Wow! beautiful! i love it! you must teach me someday.